Born into brothels – World Joining Us! Wating for vacation in Phuket!! 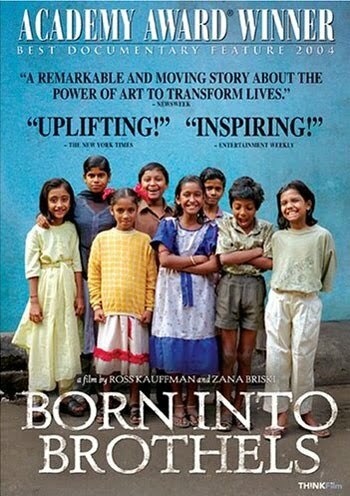 “Born into brothels” is a documentary film about children in India, Calcutta. They were born into brothels. There are a lot of children and lead same way of their parents because never chance to go to school or get freedom. A photographer lady from abroad lived in brothel to shot photos and films of their life for one year. Then she started to teach how to take pics for children. They enjoyed walking around their town with camera and expressed something they felt and saw in daily life. The lady tried to make them enter school, she believed education was a way to change their life. Some of them could be given chance to learn about the world and made their way by themselves. The movie is great and tell us about hope. The children is just “children”, not different from another children we usually see in our country, so energetic, especially, the smiles are so nice even in terrible environment. After the film had been spread to some countries, many people agreed with their work and noticed the reality of life in brothels,Calcutta. A boy who was talented to make photos studied hard by the support of NGO and got a chance to learn in high school in US. Some of them were cut the chance to keep learning in school because of their family or decided to go back to brothels by their own decision. The result described it’s not easy to get away from life in brothels. But the boy said, this is not hopeless film, they were given opportunities to make their life but chose their life of each by themselves. Most important thing is to be free and given opportunity to learn about the world for children. I agree with him, it’s not good to decide someone’s happiness from only our point of view but all people must be given a chance to make decision of our life regardless of environment we were born.